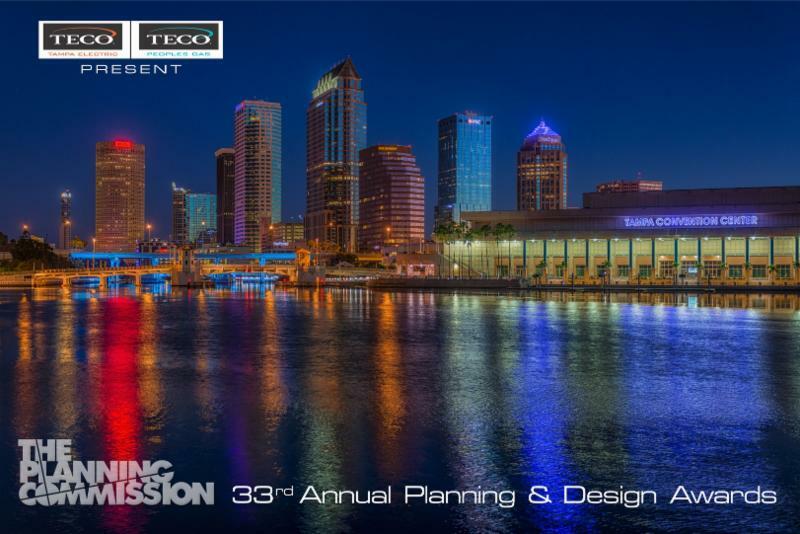 The Planning Commission is proud to announce the winners of our 33rd Annual Planning & Design Awards presented by Tampa Electric and Peoples Gas. 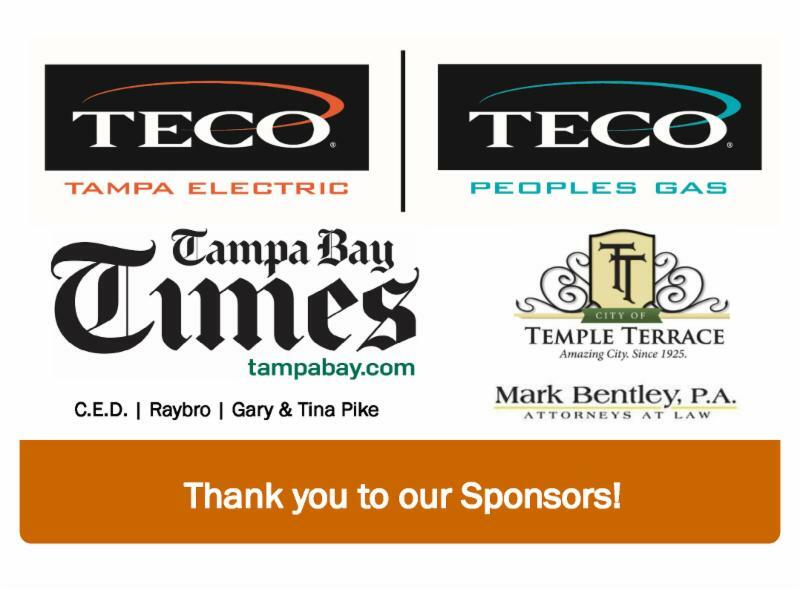 The event was held on October 29th at T Pepin’s Hospitality Centre. As the American Planning Association celebrated Community Planning Month and Great Places in America in October, we are proud to honor the very best in planning and design in our own region. Awards of Merit, Excellence, and Outstanding Contribution to our Community as selected by our judges were presented by ABC Action News Anchor,Brendan McLaughlin. Photographs of the event and award winners can be viewed on our facebook. 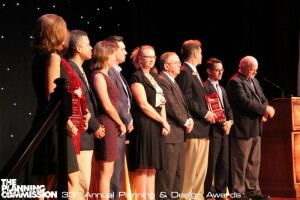 In 2001, the Planning Commission created the Jan Abell Award for an Outstanding Contribution in the Historic Preservation Category. Jan Abell was a local, passionate preservationist who successfully saved some of Tampa’s and Florida’s important buildings. 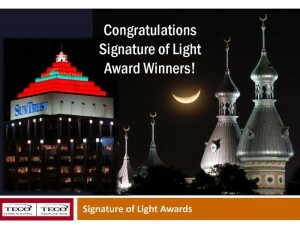 The judges agreed, calling this building one of the anchors in Tampa’s history. 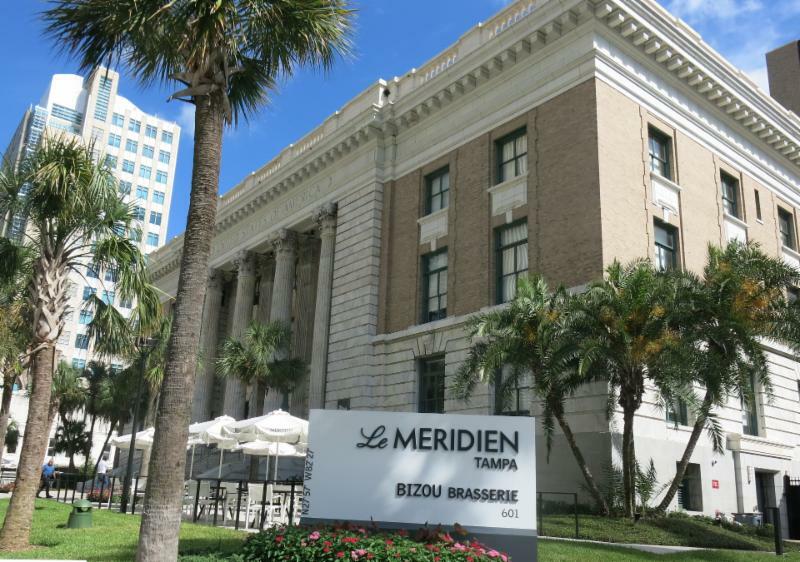 They applauded this private investment in historically-true restoration of a piece of Tampa’s fabric interwoven with modern elements. We are certain Jan Abell would be proud. Aqua offers affordable housing to senior citizens on a limited income in a 197 unit high rise located on the Hillsborough River. The comprehensive renovation provides Aqua’s seniors with first class apartment homes and amenities without increasing their rent. 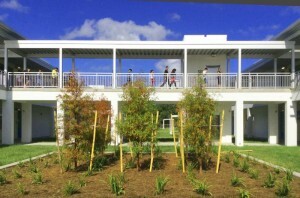 All life safety and mechanical systems were replaced, and the building and grounds are now fully accessible. 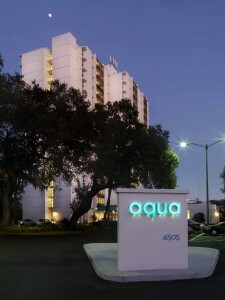 Less than four miles from downtown Tampa, Aqua Apartments is also convenient to public transportation. The successful restoration and revitalization of the Aqua Apartments, required the participation of all stakeholders – the residents of Aqua, the Wellswood neighborhood, Hillsborough County, the City of Tampa, Florida Housing Finance Corporation, and HUD. The result shows how preservation of affordable housing can transform a building into a vibrant community that seniors really do want to call home. The judges found this to be a model project, serving a demographic routinely set aside. They praised the Aqua team for its compassion, providing minimal disruption allowing residents to stay within the building during the renovation of each unit. Previously facing demolition and a close-knit community of seniors without homes, Aqua Apartments now provides residents more than a beautiful, safe, modern home, it provides important connections with local students and participatory integration into their community. This grassroots project is dedicated to improving livability, walkability, and the economic sustainability of streets, one block at a time. 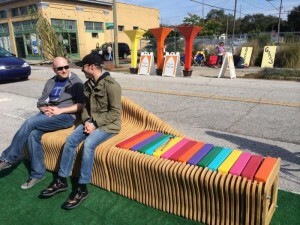 Using the Better Block’s Principle of creating small scale, short-term improvements to encourage lasting change, the blocks were activated with local vendors and residents hosting pop-up storefronts, local brewery samples, street art, food, music, and parklets. This opportunity to visualize physical street improvements also allowed entrepreneurs to test the local market. Franklin Street Better Block was the second of only two conducted in the state of Florida. 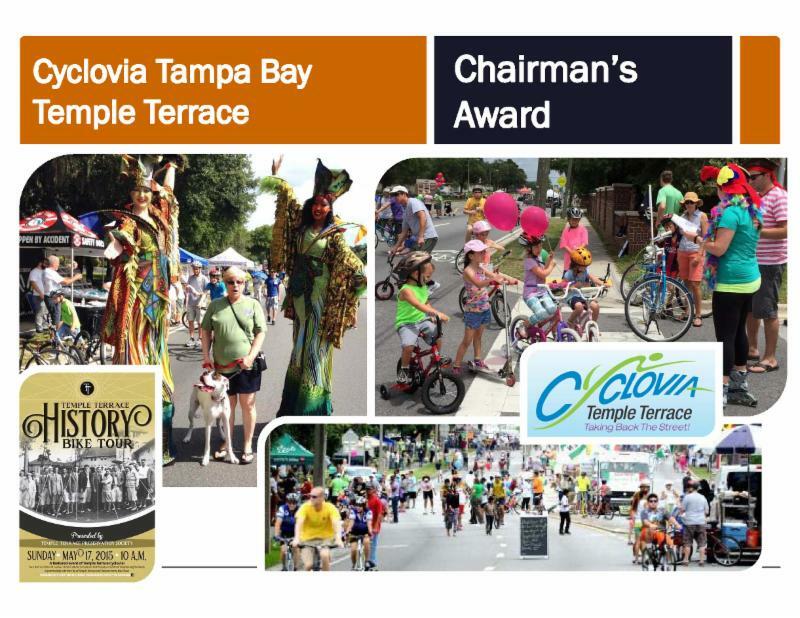 The Tampa Heights Civic Association, Congress for New Urbanism (CNU), Emerge Tampa Bay, and local business owners and residents teamed up to bring Franklin Street back into the city’s focus. The project took place on a Saturday in January on Franklin Street between I-275 and Henderson Avenue. 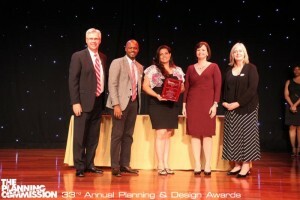 This project also received an Award of Excellence to the Florida Chapter of the American Planning at its recent conference. 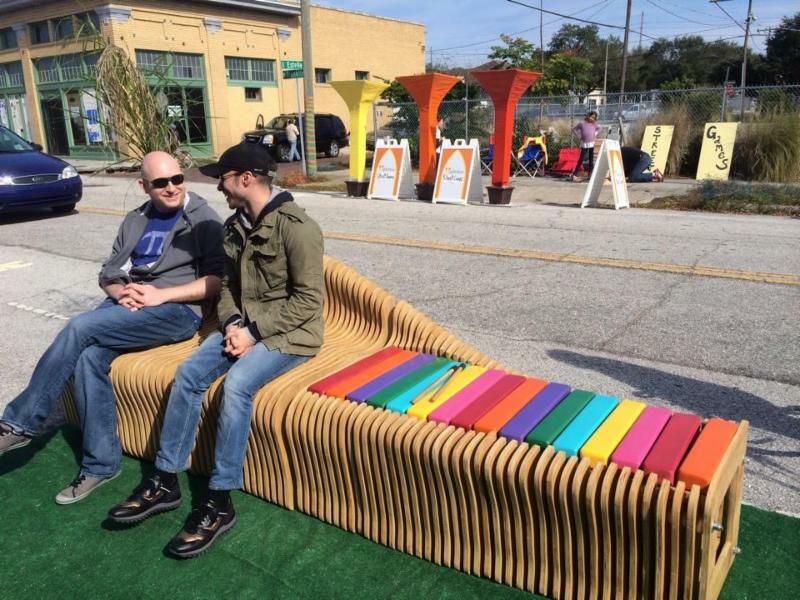 The judges loved the originality and innovation in this tactical urbanism approach, allowing citizens and businesses to test business ideas and urban design concepts for themselves. Already, it has been a catalyst for change, breathing new life into the neighborhood with openings, renovations, and increased activities. 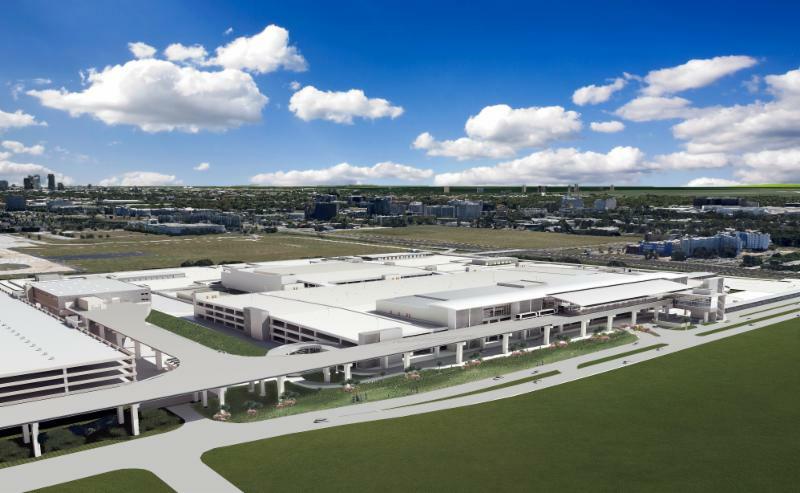 Tampa International Airport’s Sustainable Management Plan, also known as LEAF, is grounded in TIA’s responsibility to our people, our planet, and our collective prosperity.  The Authority is committed to implementing the sustainability program in a manner that considers environmental stewardship, social responsibility, and economic vitality and will strive to leader this movement our in our community, our state, and beyond. The Legacy of Environmental Actions for our Future program serves as a testament to the importance of community involvement in the planning process. Throughout program development an awareness of sustainability opportunities was catalyzed. This extensive collaboration included Authority staff, tenants, and the local community whose efforts resulted in the development of plan through interactive visioning sessions, online surveys, special presentations, social media interaction, and open house meetings. It is a very comprehensive plan identifying tasks, strategies and measures. 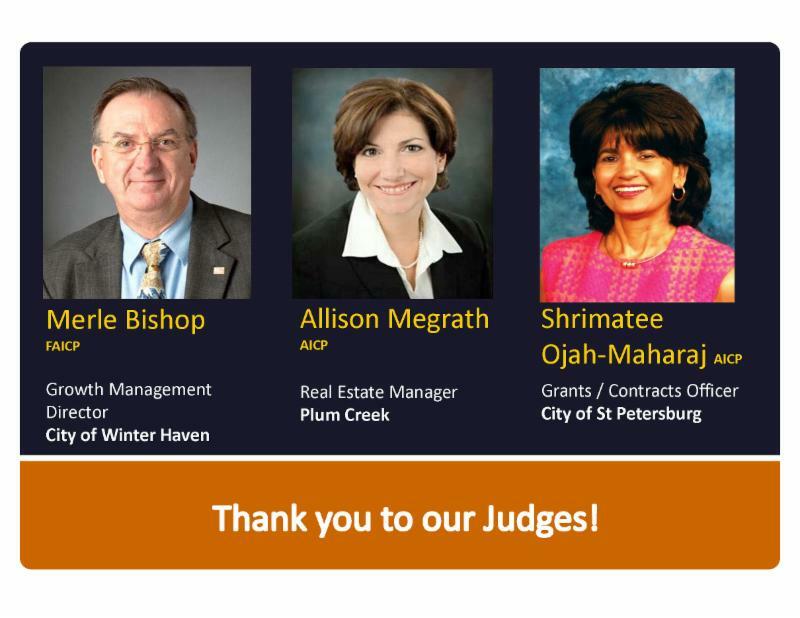 The judges were completely on board with what this project is doing for our region. They felt it is a ground-breaking blueprint for other airports around the country to integrate into their master plans and applauded the project from an economic development, investment, participation, and environmental perspective. Kennedy Plaza is a four-block over water structure that offers a safe and enjoyable pathway away from the busy streets of downtown and commercial buildup along the Hillsborough River. Linking two disjointed sections previously completed on either side of Kennedy Boulevard, Kennedy Plaza is the most incredible section of the Tampa Riverwalk aesthetically and experiential with lighting, shade, and gathering spaces. 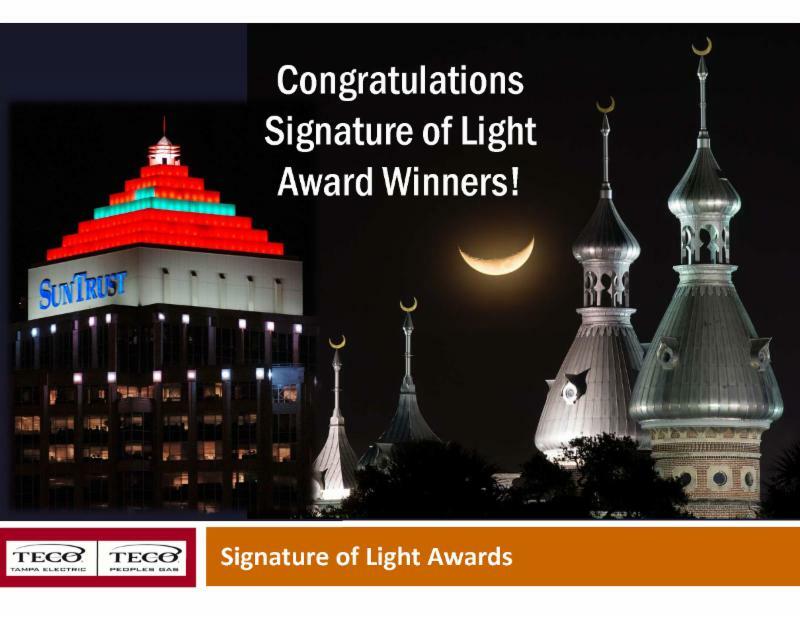 An instant success with the community and our judges, who found Kennedy Plaza to be a stimulating adventure in form, function, and whimsical lighting, beckoning the community to embark on a riverfront journey. 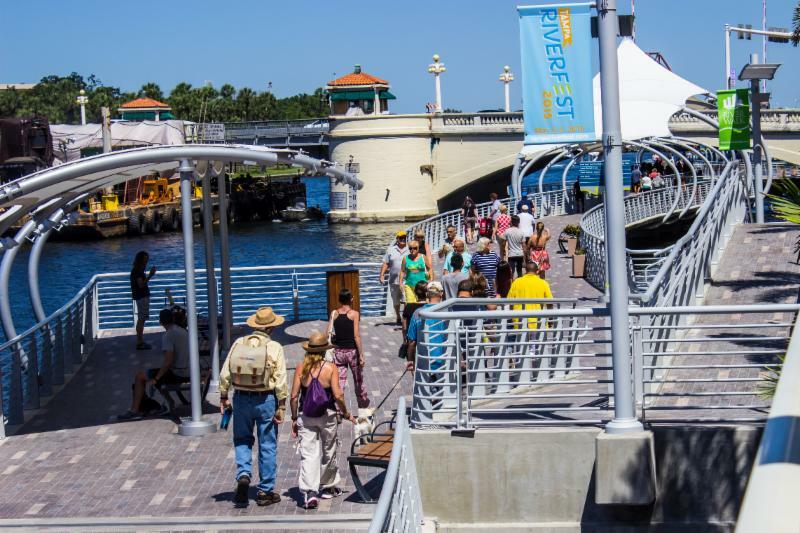 This vital and safe Riverwalk link is certain to contribute to the economic development and a unique sense of place in Downtown Tampa.  The City had the foresight in 2007 to initiate the redevelopment of an underutilized area south of Downtown guided by their adopted, award-winning Midtown Redevelopment Vision Plan. Environmental clean-up was funded through a Brownfield Program application. This focal point is an attractive park designed to entice businesses and developers, while it serves as a community outdoor living room for Plant City with cool amenities around a 3-tier marble fountain. 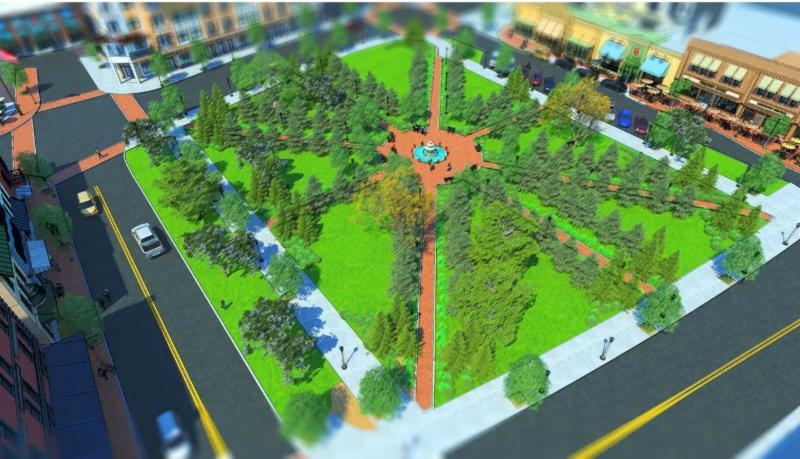 The judges felt the Midtown Village Green showcases what good planning can do, not only transforming a brownfield into a usable and inviting place; but also as a catalyst to start anew with a foundation for economic growth and walkability in place. 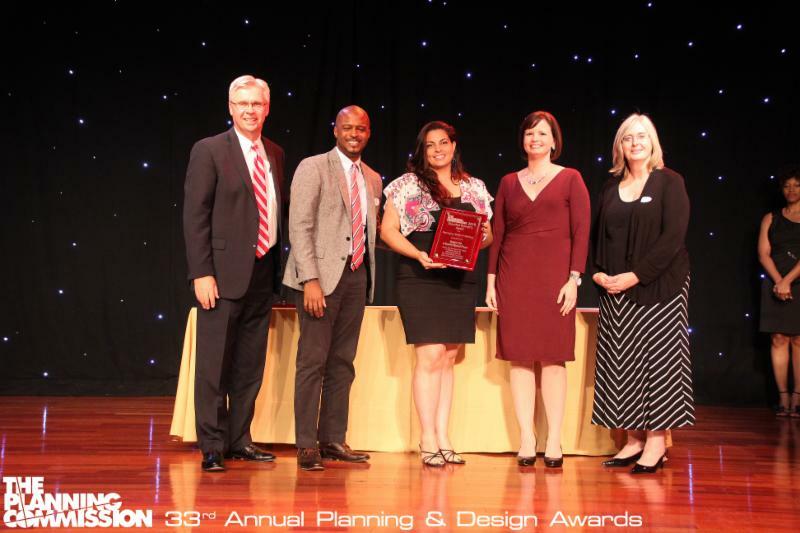 Our judges gave high marks for pre-planning for expected growth in the area, as well the many efficiencies in design and co-functionality with the future park and Lennard High School, also from an educational mentoring standpoint. The judges cheered for the LEED Silver Standards met and the “learning gardens” as one of many great lesson plans for future school design. 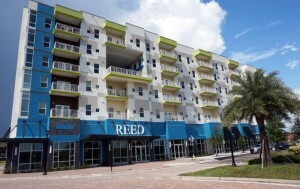 Our judges love the legacy of the REED and its mixed-uses, lifestyle quality, and connectivity for active seniors in need of affordable housing in our community. The REED bears the name of Essie Mae Reed, a former tomato picker who became the first African-American woman to run for Tampa City Council, working tirelessly to improve the lives of people in public housing… and so much more. 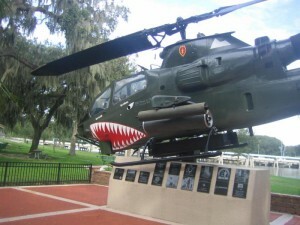 The judges salute the quality of the Veterans Memorial Park, which touches the emotions for those this park was dedicated, giving it a sense of place as a destination. They felt the consolidation of tributes served a diverse population, and clearly carried the message to honor those who serve, remember those we’ve lost, and educate the community in an impactful way. Our judges loved the coolness factor and complete turnaround of the deteriorating Tampa Water Works pumping station. 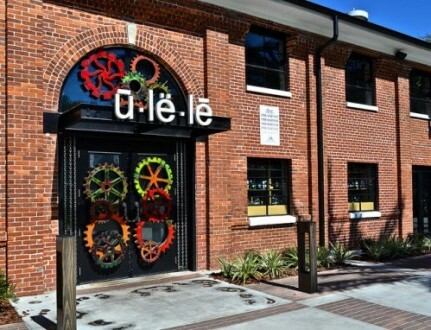 They found the Ulele Restaurant & Ulele Spring Brewery to be quite appetizing with its delicious public-private partnership. Now a culinary attraction, it anchors the north end of the Riverwalk, adding flavor to this emerging neighborhood. 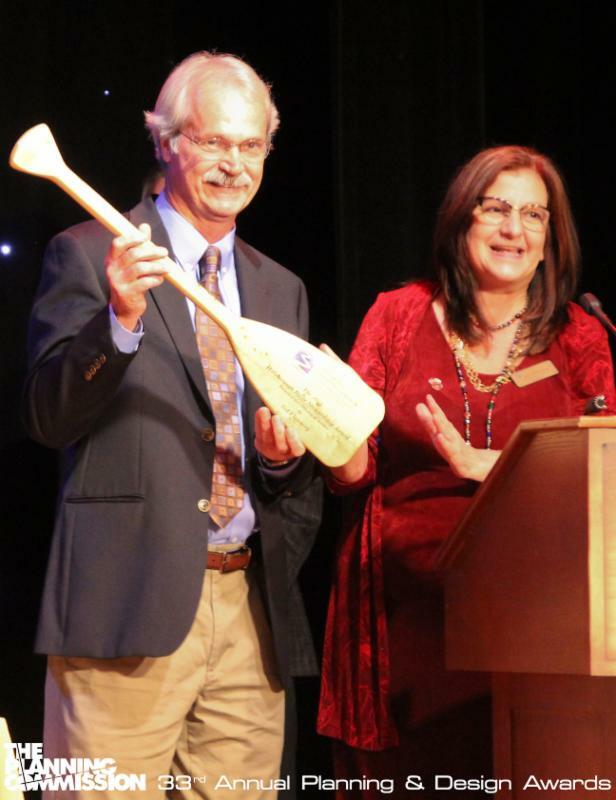 An oar represents the perfect award for a pragmatic advocate for the overall health of the Hillsborough River watershed. Mr. Flannery began working for the Southwest Florida Water Management District in 1985. He served as a Chief Environmental Scientist until he retired in 2014 and contributed to the development of one of the state’s most robust programs for implementing and re-evaluating Minimum Flows and Levels for nearly thirty years. The pioneer of the application of the “percent-of-flow” approach in West Central Florida that emphasizes the critical interactions where saltwater and freshwater mix as well as the fish and other organisms that depend on it, Sid Flannery was key to the environmental recovery of the Lower Hillsborough River. And for that, we all thank you, Sid Flannery! The Veggie Van is a colorful, refrigerated truck distributing fresh, nutritious food such as fruits and vegetables for just one dollar per bag into targeted communities like Wimauma Village, Tampa Heights, and Sulphur Springs. In areas like these, people may rely on the not-so nutritious offerings of fast food and convenience stores in what planners call food deserts, where people are located quite a distance from grocery stores and often without transportation to access healthy foods. The 2015 Executive Director’s Award was presented to a stellar example of action promoting health and wellness in our community. The Tampa Metropolitan Area YMCA was able to launch the Veggie Van, A Mobile Market Place thanks to generous funding from their partners, the Children’s Board of Hillsborough County, the Joy McCann Foundation, and the Bank of America Foundation. Thank you to your entire team! Planning Commission Chair Mitch Thrower spoke of the health benefits of walking and bicycling, “But we are also all too aware of the staggering statistics often ranking our region at or near the top in bicycle and pedestrian deaths in our country. Many kids are driven to school and many adults elect to drive to work or shopping trips. 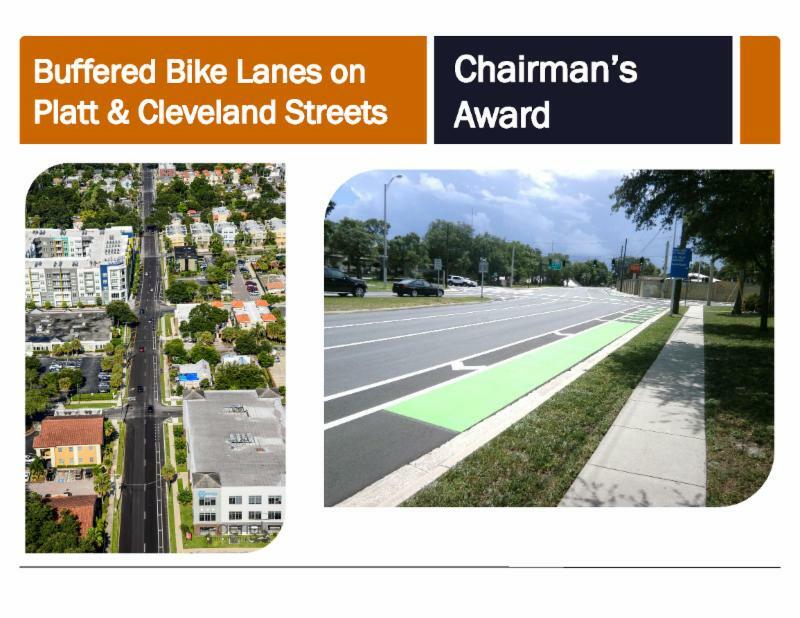 These are missed opportunities for healthier lifestyles, because many do not feel safe on our roadways.” Commissioner Thrower recognized two important projects with the 2015 Chairman’s Award. The new Complete Street traffic configuration is one-way, two lane roads with reduced speed limits to 35 miles per hour. The final design includes safety features for cyclists such as buffered bike lanes, door zone areas adjacent to parked vehicles, and green pavement marking conflict zones. We applaud the implementation of these important safety changes and look forward to ongoing infrastructure improvements. 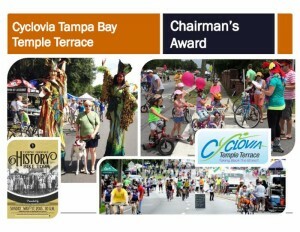 Cyclovia is a Spanish term meaning cycle way. It made its debut in the City of Tampa in October 2014 and in the City of Temple Terrace in May 2015. More than just walking and bicycling, these events included family fun for people of all ages, health and safety education, bicycle helmet fittings, singing, dancing, playing, street chalk art, history bike tours, local sports team mascot appearances, food trucks, and much more. We thank you for attracting thousands of people to our streets to experience their cities on foot or wheels of all types while promoting safety, health, and wellness!